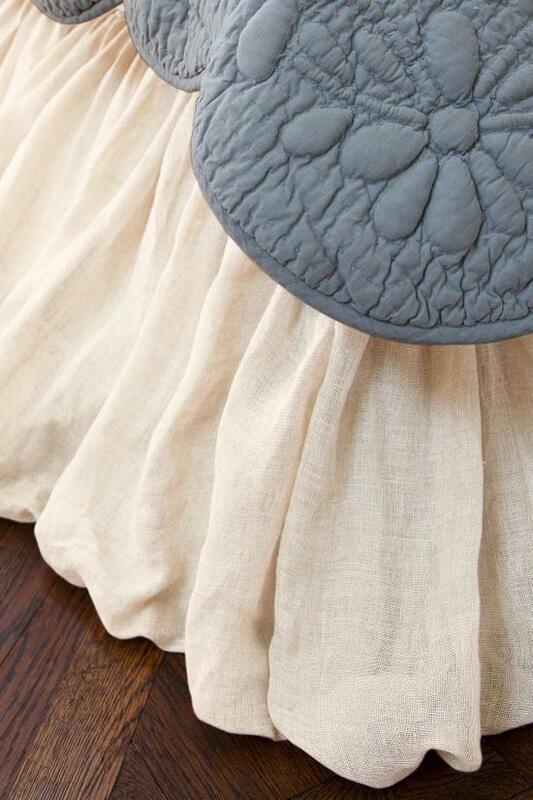 All the billowing, floor sweeping elegance now in soft linen gauze. Lined bedskirt has 19" drop with split overlapping corners to accommodate bedposts. Machine wash cold, Gentle cycle, Do not bleach, Line dry, Cool iron ifneeded, May be dry cleaned.